Unlimited Cute Design : boring with same old cable everyday? 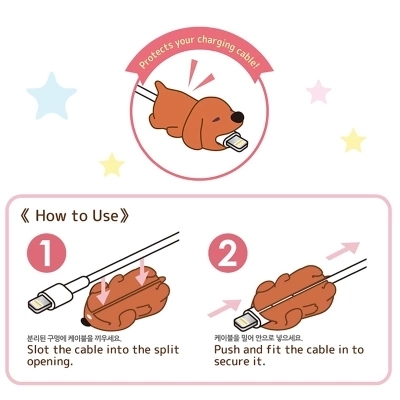 With this High Quality Iphone cable bitten you can have unlimited cute design cable bitten for your cable. Perfect Gift : Get the cute cable bitten to give them to your love one with their favourite character. Stress Reliever : have fun with your cute cable bitten every day, the character lookslike bite your phone when you connect it to your phone. Collect Your Favourite Character : show your favorite character and bring them to everywhere you go. Cable Protection : high quality material protect your cable phone. We truly believe we make some of the most innovative trendy products in the world, and we want to make sure we back that up with a risk-free ironclad 30-work-days guarantee.